Address : 21, Okeanidon str. 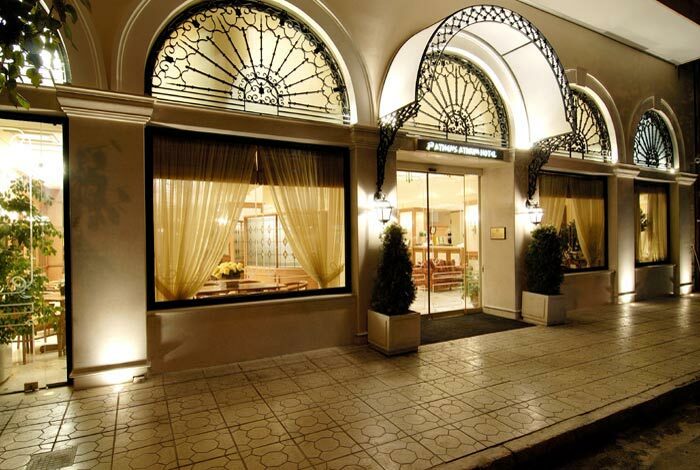 The Athens Atrium Hotel & Suites is a modern and recently renovated Superior 4 star hotel located in the center of Athens, the capital of Greece. 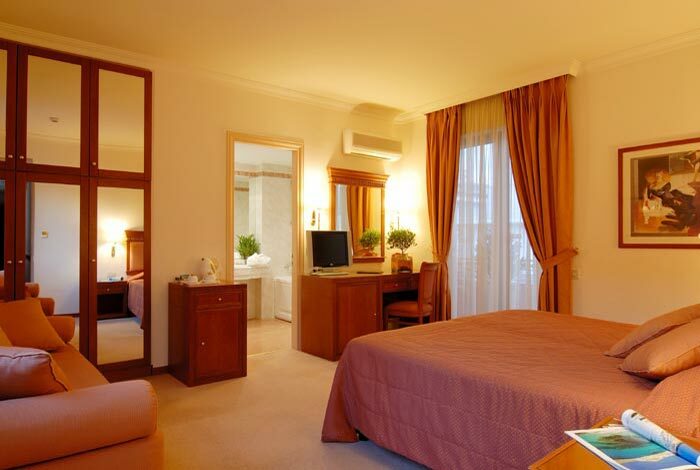 It is the ideal place for all visitors of Athens to stay, whether they travel for business or holidays. 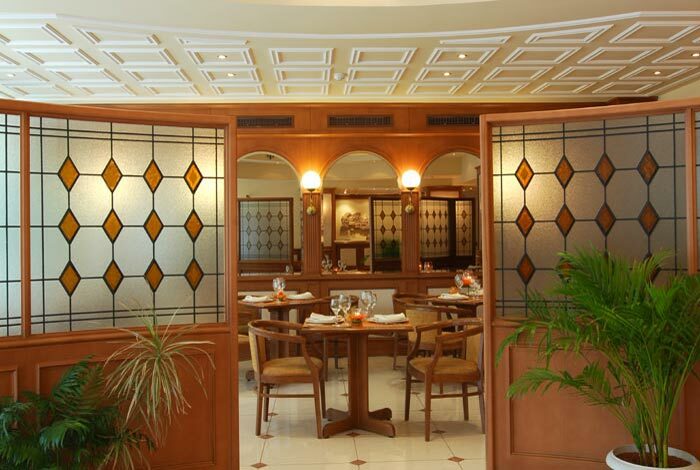 This elegant and functional hotel offers high-standard accommodation and integrated service. The Conference & Multiple use rooms of our hotel are fully equipped and are available for the holding of conferences and meetings, seminars and social events for all private and public organizations. At the \"Atrium Ball Room\" we can materialize in the best possible way one of your fondest moments, such as your wedding reception. 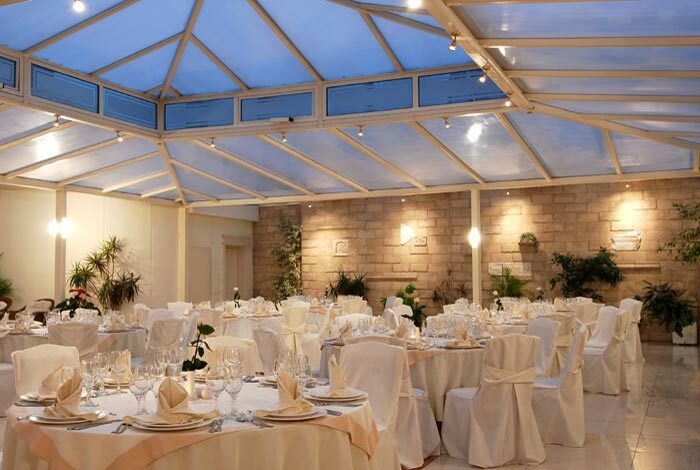 The Athens Atrium Hotel & Suites is famous for its \"affordable luxury\". The decoration of all the areas has been implemented by experienced professionals inspired by the needs and the demands of all our visitors. Thus the result satisfies all tastes and is highly aesthetically appealing. Our 56 Guest Rooms are built and designed in such a way so as to offer all amenities to our guests, to help them unwind and relax from the tensions of the day. The tender and warm colors and the brand-name furniture, harmoniously combining the classical with the modern, create a beautiful and cosy atmosphere. Some of our guest rooms are accessible adapted. 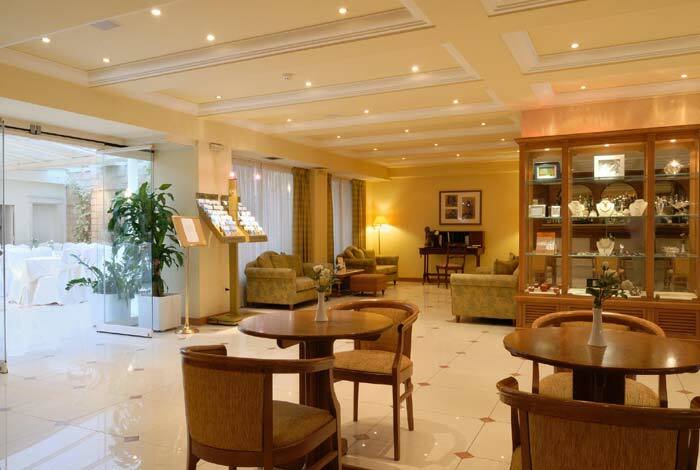 If you are familiar with ATHENS ATRIUM HOTEL SUITES, please share your opinion of it with other travelers. Write a review! Cyprus Best Value for money! 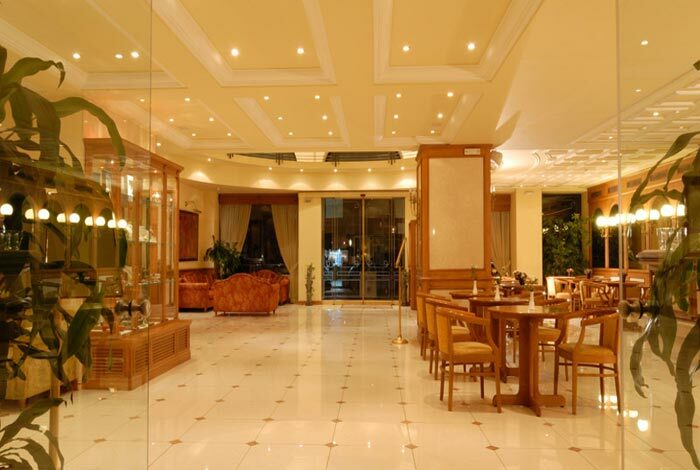 A real 4 star hotel in Athens for business and holidays. 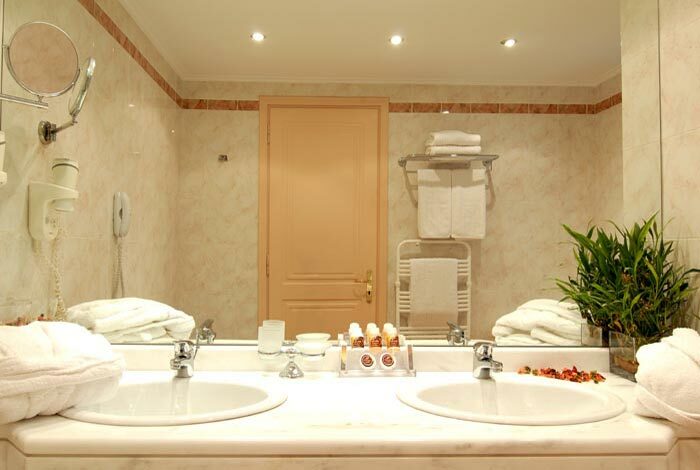 Luxurious, confortable and very clean rooms. 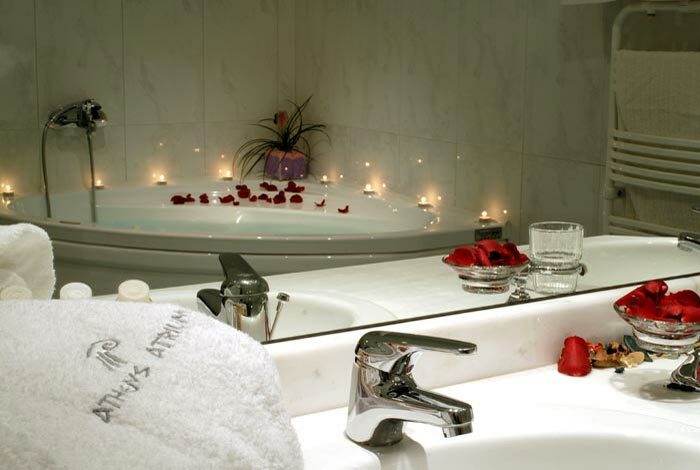 You will enjoy your room with the private jacuzzi! It is close to the center, 15min from Plaka and Acropolis, not noisy, very friendly staff - could not be better!! The service and especially the breakfast was excellent. I was in Athens for a business trip in April. I stay to this lovely hotel for 1 week and for sure I will come back! All of as we will come back..!! 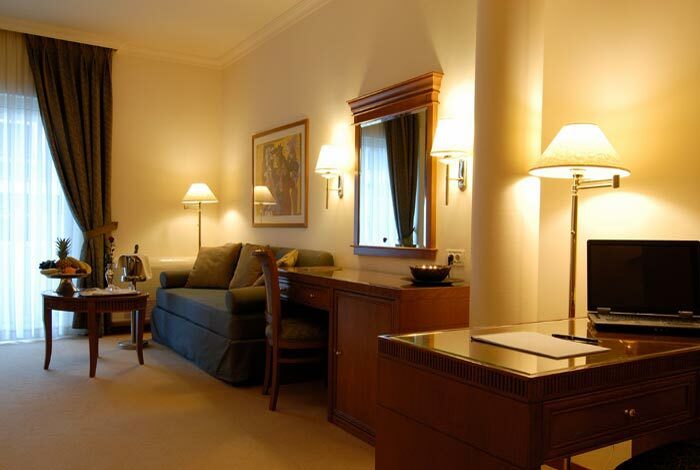 The rooms are very big and the decoration is excellent! They have big marble bathrooms and most of the rooms have Jacuzzi. The hotel is brand new! The breakfast buffet is perfect and the food delicious! The staff of the hotel is very friendly and especially the ladies at the front Desk. The last night we have done a banquet with our company in the hotel. The place was spectacularly good and greek music too!!!!! Since this is a relatively new hotel (believe it was recently renovated), it is still a great secret. Even the taxi drivers don't quite know where it is, so have a map handy. It's not in the tourist/Plaka/Acropolis part of Athens, it's more so in the residential and business district. It's nice to see a different side. The lobby is very pretty and the restaurant/breakfast lobby has a lovely rock waterfall. Breakfast is very good. 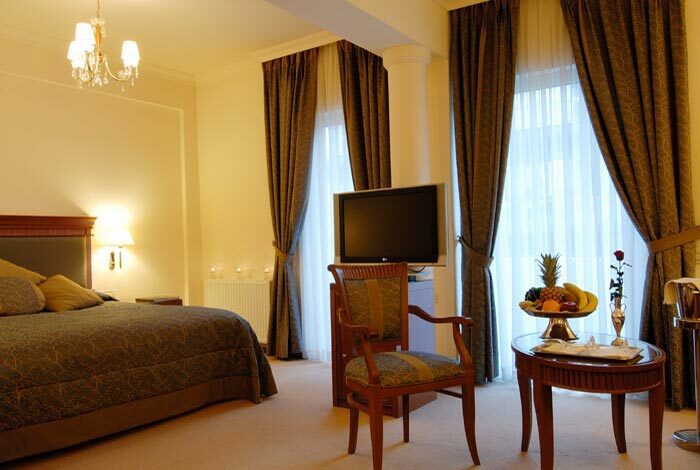 The rooms are perfect with high quality fabrics on the chairs, beds, and windows. The bathrooms are clean and new with a nice stand up shower in most, or you can get a big tub with jets. Highly recommended! The narrow hallways and one person elevator really feel European. I'd definitely stay here again. And you can't beat the price!